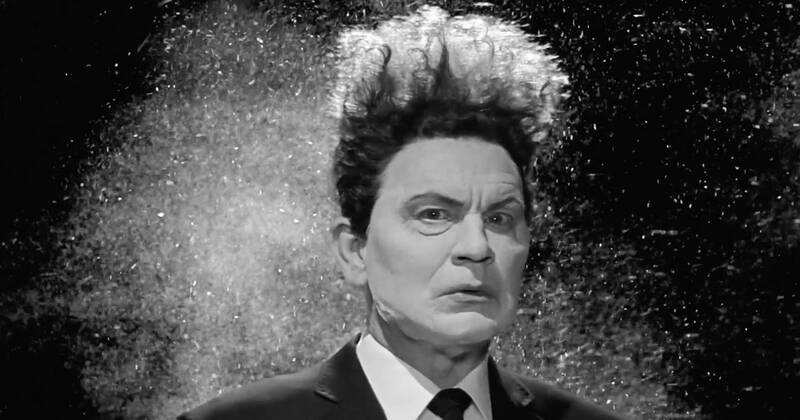 Blue Rose Epics | Entertainment: Happy 40th Anniversary Eraserhead (1977)! 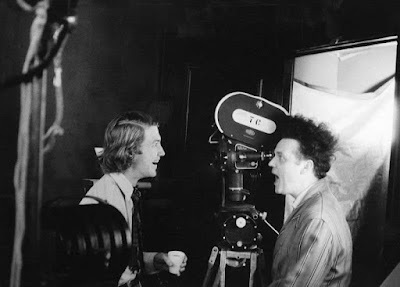 Happy 40th Anniversary of Eraserhead's World Premiere in New York on September 28, 1977! This was the first major public screening of the film in its final theatrical cut form, where it began its polarizing life as a nightmarish work of celebrated, decried, and debated expressionistic art. And 40 years later, it still packs as much punch per frame as ever! About five to six years in the making, Eraserhead (1977) was a labor of love for David Lynch and his motley crew that took over the stables of the American Film Institute in the early to mid-seventies. David Lynch even took one solid year with collaborator Alan Splet just to create the unique sound design, alone from scratch. 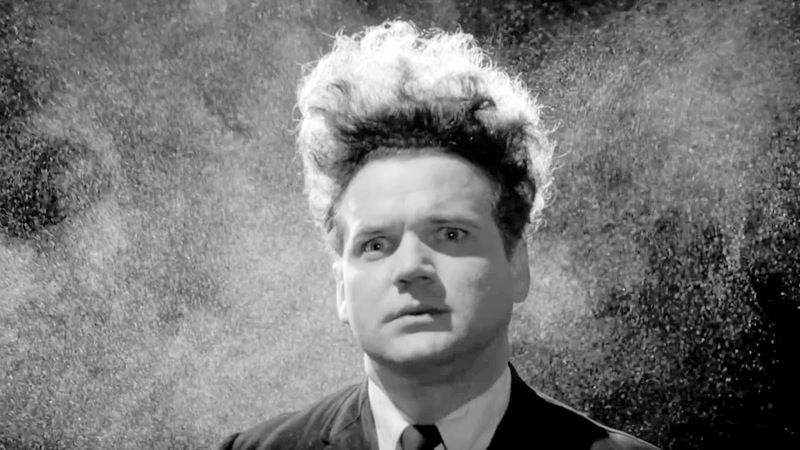 Eraserhead (1977) made a name for David Lynch and helped producer Mel Brooks to entrust The Elephant Man (1980) to the fledgling filmmaker. The rest is history, as David Lynch has continued to take turns challenging and enthralling the world with his unique artistic cinematic vision for the next 40 years until this very day, September 28, 2017! 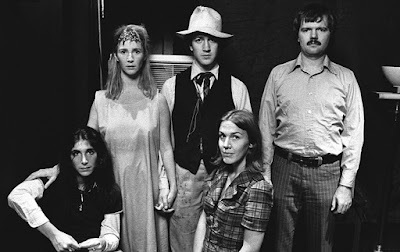 The history of the journey of some bright-eyed film students who set to make one of the craziest, weirdest, and most unique films ever made is fascinating to hear from the documentary David Lynch released on his original DVD set titled Eraserhead Stories (2001). I personally think David Lynch throwing his and his friends' futures into the unknown, shaping his film meticulously frame by frame was nothing short of a spiritual awakening for the young filmmaker. An experience that means more to him more than the production of any other later film or project. It is inspiring to hear of the young married couple Jack Nance and Catherine Coulson's steadfast devotion to their director, even after running out of money several times over the intervening years of production. They believed in David Lynch's vision and kept Jack Nance's hair ridiculous throughout those years, in spite of it bringing some hardships all its own. Now this little cult film by experimental film students in the seventies has been adopted into the national archive of film preservation by the Library of Congress and Eraserhead (1977) has seeped into the cultural consciousness to the point that celebrities today cannot resist imitating shots from the film. From John Malkovich to Brad Pitt, Eraserhead has come to be known as a counterculture symbol of underground cinema. The kind of movies that could never be made by a studio, but which slowly permeates the zeitgeist by virtue of its innate strangeness. Although there are no ways of predicting such things, I wonder if a small part of David Lynch did not have an inkling that his first feature film project would grow into an important artistic foundation that would launch his career and still have a tremendous impact on audiences in 40 years, just as much as it did in 1977? To hear of Jack Nance's initial reluctance to star in Eraserhead, but how fate eventually won the actor over and made him best friends with David Lynch is one of my favorite stories. And was a kindness that David never forgot later in his career, finding and creating many great parts for him in the decades to come. Thank you for stopping by and celebrating with us this momentous occasion, as David Lynch's film career officially encompasses four decades of pop culture history. 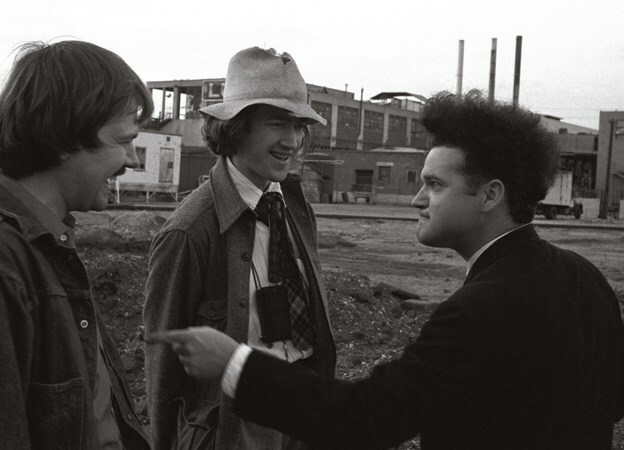 I go into much greater detail about the making of Eraserhead (1977) in my book 40 Years of David Lynch - Volume I: Eraserhead - Wild at Heart. 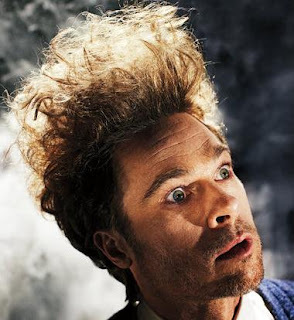 In addition to exploring the film's production history, I also explore some of what the film has meant to me, personally, as well as what David Lynch has said and revealed about it over the years. The Eraserhead Party continues with Part 2 of this article tomorrow, More Love for Eraserhead (1977)!